Free PC For Anyone That Wants It! This is a Dell Dimension 4100...well, most of one, anyway. Last night I got a new toy to play with and what little interest I had in making a custom Windows 98 system dissolved away. You may recall that I bought this Dimension 4100 for its case for my ongoing sleeper build. That’s still going on. I kinda figured I’d make two projects out of it, but nah..
I’m getting ready to donate this thing, but before I do that, I want to offer Oppo this system! It’ll just need a CPU, hard drive, and power cable. It’s yours only for the cost of shipping! 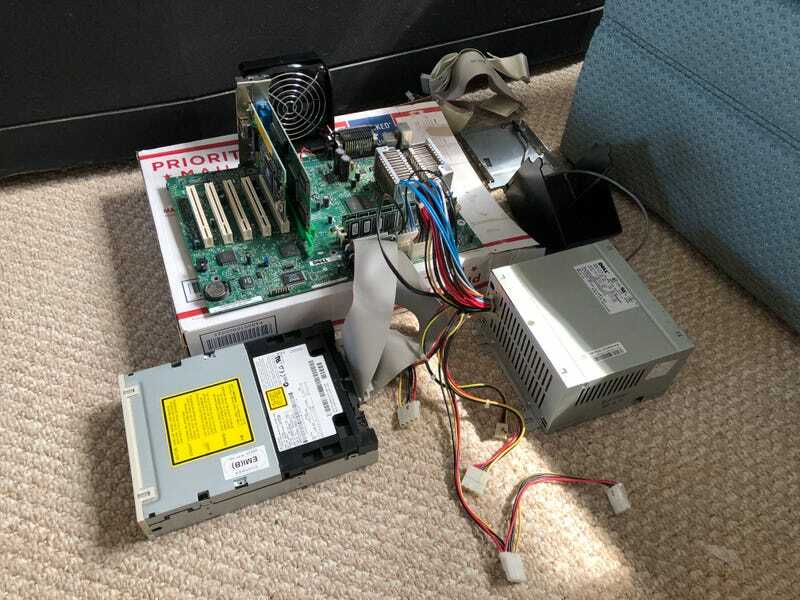 Here’s the new toy: A $30 Prime Systems build from eBay. The motherboard in this bad boy takes any LGA775 CPU. Xeon here we come!